Rising a mile high and up to 5 miles wide, the impact plume of the spent Centaur rocket was observed by the NASA LCROSS shepherding probe before it travelled through the cloud of dust and crashed 4 minutes later. The lack of an observed dust plume has been the cause of much confusion to people who watched the events unfold in the early hours of October 9th. NASA publicised the impact event as if it was going to be an explosion of dust (and possibly ice), observable from telescopes on Earth. To say the mission finale was a disappointment is an understatement. Following the impact, NASA responded by saying that although infrared images proved the Centaur crashed on target (and a 20 meter-wide crater was created), the lack of an accompanying plume could mean that the mass hit the side of a crater (therefore blasting debris at an angle), or it hit a region devoid of dust and water ice, or the plume was simply less obvious than expected. Now that NASA has released new images of the impact, it would appear the latter may be the case; the plume was just less spectacular than the promo videos depicted. Nine instruments on board LCROSS captured impact sequence, but until now it was unknown whether an impact plume occurred. Now NASA has confirmed that an impact flash, plume and crater were all generated. So the number-crunching continues as we wait to find out whether water was contained within that plume. However, judging by the faint cloud of ejecta, I’m thinking dreams of a H2O reservoir in Cabeus crater might be short lived. Source: NASA, LA Times. A special thanks to @jamerz3294 for the tip! What REALLY Happened to the LCROSS Centaur? In the early hours of Friday morning at 4:31am, the spent Centaur rocket from the NASA LCROSS mission slammed into the surface of the south pole of the moon. What was the point in that? Well, NASA was hoping that the tumbling chunk of metal the size of a small bus would kick up a huge plume of dust. Following 4 minutes behind was the shepherding LCROSS spacecraft, also on a kamikaze dive, hoping to drop through the plume, sensitive instruments ready to analyse the dust for water. I know what you’re thinking: what right does NASA have to BOMB the Moon? They have NO RIGHT AT ALL!! It turns out that they are actually waging a top secret war against the population of peaceful extraterrestrials that live on the far side of the Moon. This “experiment” was in fact a reckless attack against a superior alien civilization, intended to strike fear into the hearts of the aliens. If you were to believe the NASA promo video of the event, this should have been spectacular, vast quantities of lunar regolith blasting into space… it should have been akin to the biggest Fourth of July firework detonating. This “shock and awe” tactic is typical of the US space agency. The huge mass of the Centaur (a little under 2400kg), combined with its break-neck speed (1.5 miles per second) should have unleashed the equivalent energy of a tonne of TNT exploding. However, what NASA didn’t tell us was that Centaur was also carrying plutonium, so the explosion should have been a LOT bigger, easily visible to the naked eye. But what did we see? Nothing. What did NASA see? Nothing. So what happened? Well, the answer to that is a little more compelling than what NASA is telling us. Yes, they can show us images of a meagre “flash” as the Centaur hit inside a lunar crater, but I don’t think Centaur hit the Moon at all… the Centaur rocket was swallowed by the Moon. Don’t believe me? Moments before impact, NASA’s lunar satellite — the Lunar Reconnaissance Orbiter (LRO) — was approaching the location and it took this photo. What you see here will shock you. It will astound you. And what’s more, it’s REAL. I’m sorry, I couldn’t resist. In the run-up to the LCROSS impact, the sheer amount of crazy conspiracy theories hit fever-pitch (I blogged about it on Space Disco 2 hours before impact). Some of my favourite theories involved alien civilizations on the lunar surface, plutonium on LCROSS (to destroy the Moon), the “fact” that it was all just a publicity stunt and the LCROSS mission didn’t exist at all… and the strange theory that the Moon feels pain. A polite message to the conspiracy theorists: Come on people, stop making stuff up and understand the real science. You might find reality more interesting than your twisted fantasies. Image: The Sarlacc pit monster from Star Wars, Copernicus lunar crater and the LCROSS Centaur rocket. Photoshopping: Me. Oops… I really geeked out this time, didn’t I. 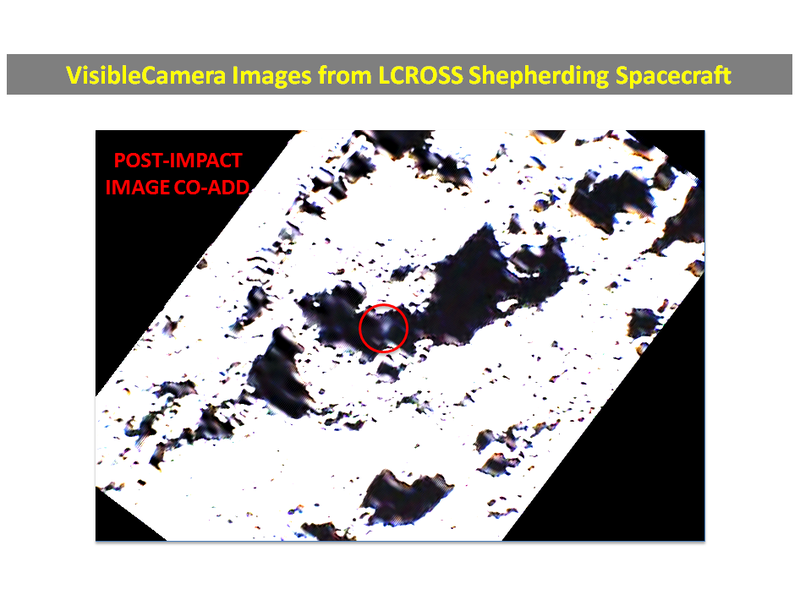 Author Ian O'NeillPosted on October 10, 2009 July 11, 2013 Categories Conspiracies, Featured Articles, Humour, MoonTags AstroArt, Conspiracy, conspiracy theory, Crackpots, Impact, LCROSS, Moon, NASA, Photoshop, Weird11 Comments on What REALLY Happened to the LCROSS Centaur?